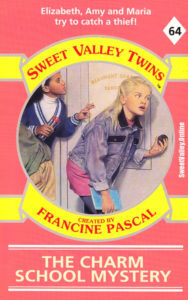 Wing, Raven and Dove talk about Sweet Valley Twins 49: The Twins’ Little Sister. They also discuss Bleak Valley and how the book ties into this theory. Hello! Raven here again, to apologise once more for the podcast delays. We’ve had some tech issues, which are sadly apparent in places in this podcast (Dove’s audio cuts out a few times). Hopefully, for our next published podcast, and certainly for our next recording session, we should have some upgraded equipment to mitigate these annoyances. We fully intend to get back to a weekly publishing schedule soon. Thanks for your continued patience, and enjoy the show! Tagline: Will worst enemies become sisters? Sarah Thomas and Sophia Rizzo can’t stand each other. 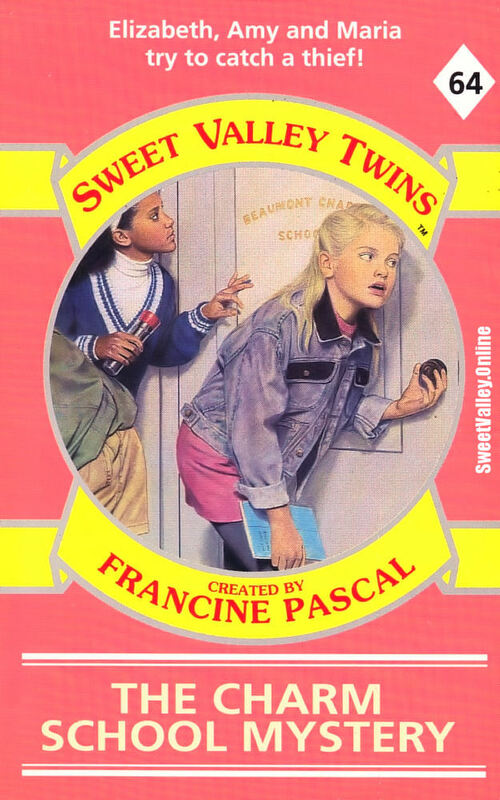 Without doubt, no two girls in their year at Sweet Valley Middle School are more different. [Wing: Not even the Wakefield twins who look alike but are really very different?] 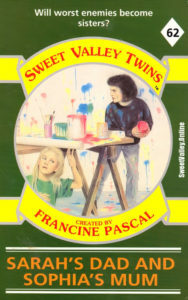 When Elizabeth Wakefield starts working on an art project with Sarah and Sophia, she hopes the two girls will become friends. But soon even patient Elizabeth is fed up with their constant bickering. Sarah and Sophia’s fighting finally leads to a visit to the principal. The girls know they’re in big trouble, but they don’t know just how big. When Sarah’s father and Sophia’s mother meet in the principal’s office, it’s love at first sight. And Sarah and Sophia are united at last—to try to break up their parents! The Rizzos are back! What is up with the dark-haired girl’s hair? Why do we have to have a Wakefield on the cover? Some people pay a lot of money for abstract art like that. I think they’ve touched on how the Rizzos will earn money now.